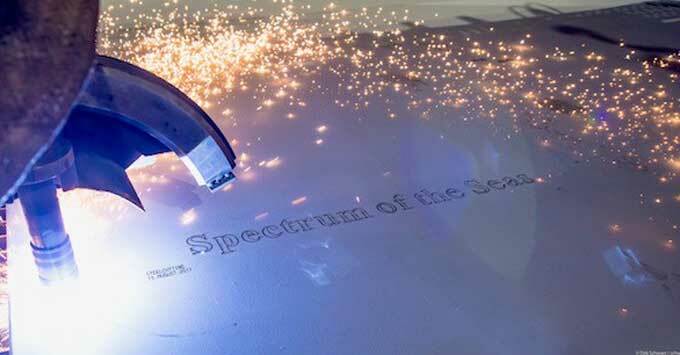 On August 16, 2017, Royal Caribbean officially cut steel on their newest Quantum-Class cruise ship at Meyer Werft shipyard in Germany. Royal Caribbean re-filed for the trademark of the name Spectrum of the Seas back at the end of June, after letting it expire back in September of 2015. They also did this with the names Apex of the Seas, Joy of the Seas, and Emblem of the Seas.